Valerie, a student at the college, has dropped her goldfish off a couple of times, asking us if we could feed it while she was on winter break or while she rode her bike across the state or something. I almost always kid her about how much I love sushi. But, I’m just kidding about the sushi. It’s much easier to flush a goldfish down the toilet and pick up another one for 50 cent at Meijers, just before she gets back. But this summer, Abby, who lives with us, asked us to take care of her pet tree, Morey, while she is away studying at an environment institute. Morey is a moringa tree, one she grew from a seed as a science project. He’s a nice tree, as far as trees go. She keeps it under a grow light in her bedroom during the winter. Moringa trees are being used in third world development, because they grow quickly and can be used to treat skin problems or purify water, among other things. Almost all of the plant can be eaten, provided you like the taste of horseradish. Morey is safe with me. Something is digging up our plants. We put him out on the front porch and left him to his own devices, whatever they are. Moringa trees don’t require much water. They are drought resistant, although that’s not been a problem around here recently. Abby was pretty happy when she left, since Morey, who was always somewhat anemic, had begun to flourish for the first time. He was about four feet tall and had developed seed pods. Even though they taste like horseradish too, they have more protein than soy beans. 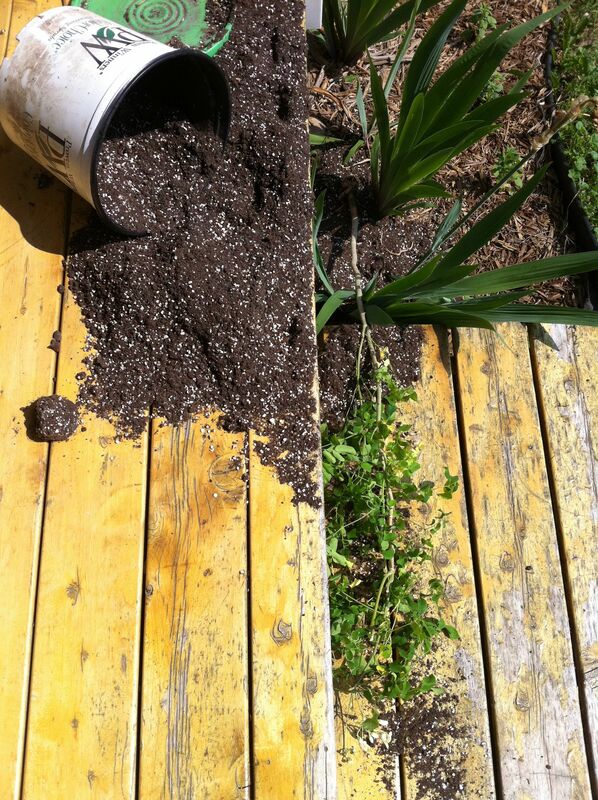 But some creature started digging up our potted plants outside. First, the wheelbarrow planter out by the road. Then the planter by the mailbox. Then the huge concrete urn by the back porch. “Someone murdered Morey,” I told Katie the first time. Katie is kind to trees, or at least to Abby, so she repotted him both times. He has returned to his pre-summer, shriveled self, however. He looks so sad I was tempted to tell him how sorry I was. Finding a therapist who specializes in sub-tropical trees is difficult here in Michigan, although I know of a guy who gives chiropractic adjustments to horses. That might be all Morey needs. For now we put him out in the day and take him back in at night and I’m trying to trap or shoot a couple of raccoons. It kind of makes you want a goldfish. As it turns out, it’s hard to flush a moringa tree down the toilet. We’ll keep you posted, though. If he doesn’t make it, or even if he does, you can make a donation over at ECHO, which distributes the seeds in third world countries. I understand Morey has been associated with ECHO for generations. Or loan me a couple of bucks so I can see what they have over at Meijers. 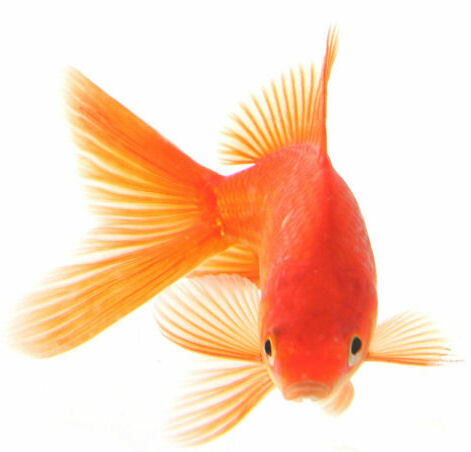 Please note (Valerie), no actual goldfish were harmed in the production of this blog. When I was young, my brother and I were not allowed to have pets as my father was very allergic to anything with fur. When my youngest sister (and last child) was about knee-high to a grasshopper, she desperately wanted a pet. My parents capitulated to her and let her have some goldfish. It was my brother’s and my responsibility to clean the fish bowl as she was too young to handle it. Every week when we cleaned the bowl, one more goldfish “accidently” got flushed down the toilet until there were none left. Now whether we were just annoyed at having one more chore to do, or were jealous because our sister got to have pets and we never did, I don’t remember what motivated our actions. We were pretty proud of ourselves for ridding the house of these nuisance fish until my mother came home with a parakeet for my sister. I don’t recall ever having to clean the birdcage. I wonder why?? Lol. So hilarious. I love your humor. Ha ha ha ha.